I beg the public’s indulgence for this map test. 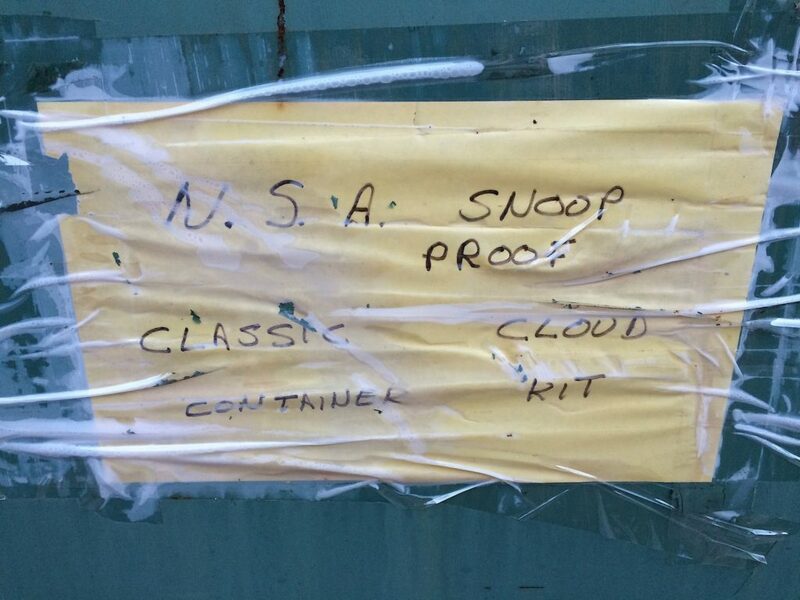 Yours for the taking: “N.S.A Snoop-Proof Classic Cloud Container Kit.” Also known, if you haven’t seen one before, as a filing cabinet. It’s not that the stuff is all garbage. Kate and I found a kind of abstract art print in decent condition a year or so ago and brought it home and hung it up. Maybe that’s more of a statement about relaxed taste than artistic merit, but we felt it was worth the effort to pick up and carry home and didn’t change our minds when we took a second look at the thing. For the most part, though, what you see out on the curbs and at the end of driveways is crap of dubious utility. It’s stuff put out on the street with the hopeful delusion that even though your dog finds the old couch repulsive, someone out there would be happy to have it. They would welcome the chance to fumigate and reupholster it. After all, it’s free. 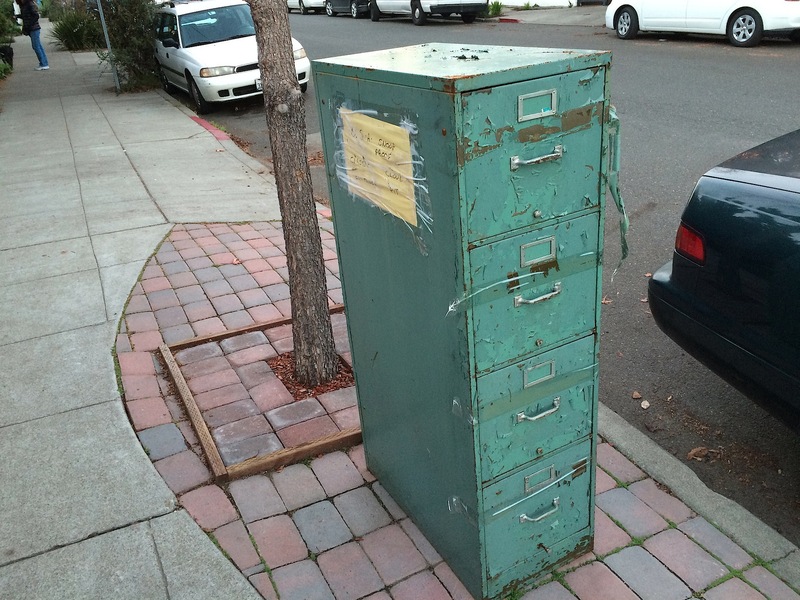 A note to entice you, the passer-by, to consider owning a piece of crap left on a Berkeley sidewalk. 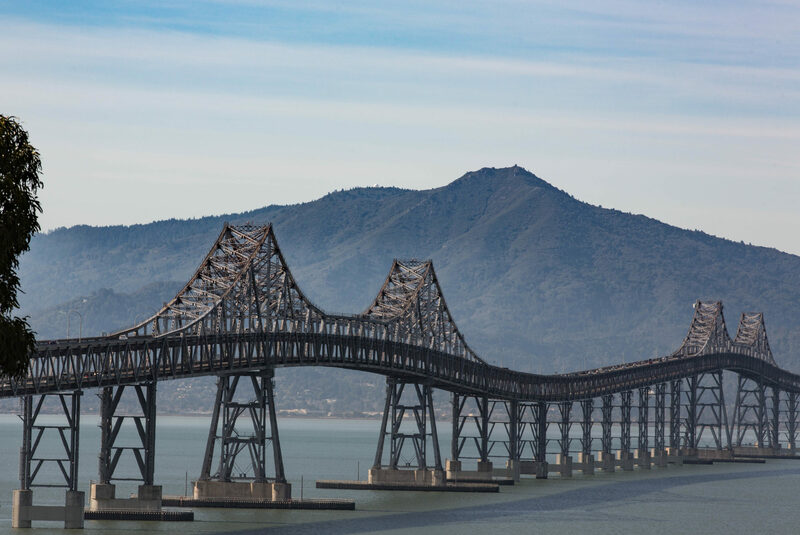 Science Friday filled its New Year’s Day show with some greatest hits segments, including an excerpt of an interview that Ira Flatow did with filmmaker Werner Herzog, novelist Cormac McCarthy and physicist Lawrence Krauss in 2011. It’s an absorbing 21 minutes, and I’ll have to go back now and listen to the longer version. You know — events like the Dinopocalypse. Krauss readily agrees that a catastrophe is “likely to happen. That will inevitably happen anyway.” He adds that one of the rosier scenarios he sees for our kind is that we’ll eventually be superseded by our own creations — the computers.